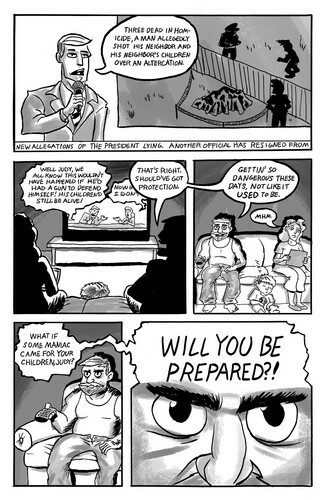 FOR YOUR PROTECTION: A father just wants to protect his family by buying a gun, but things go horribly wrong when that gun goes off! 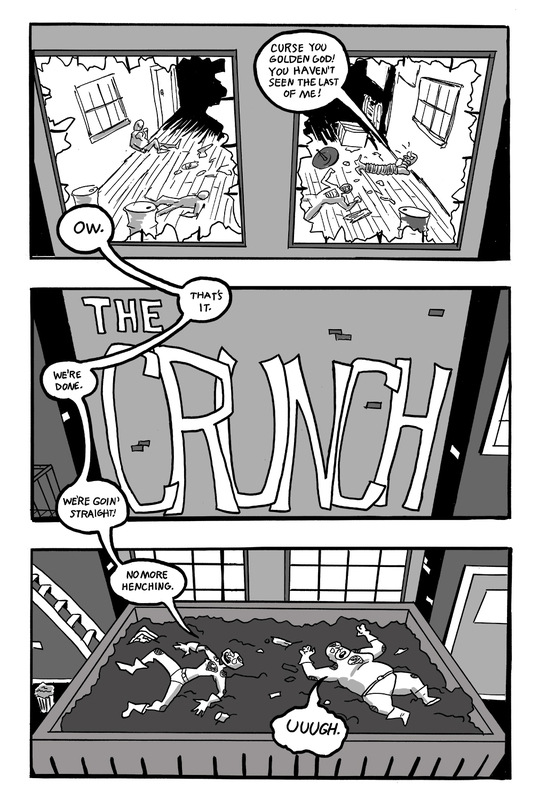 THE CRUNCH: Can two former thugs reform their criminal ways and make an honest living, or will they slip back into their criminal habits? 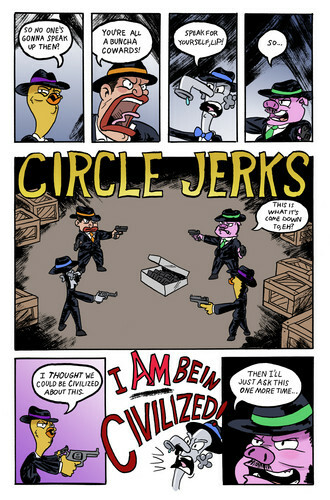 also, CIRCLE JERKS! 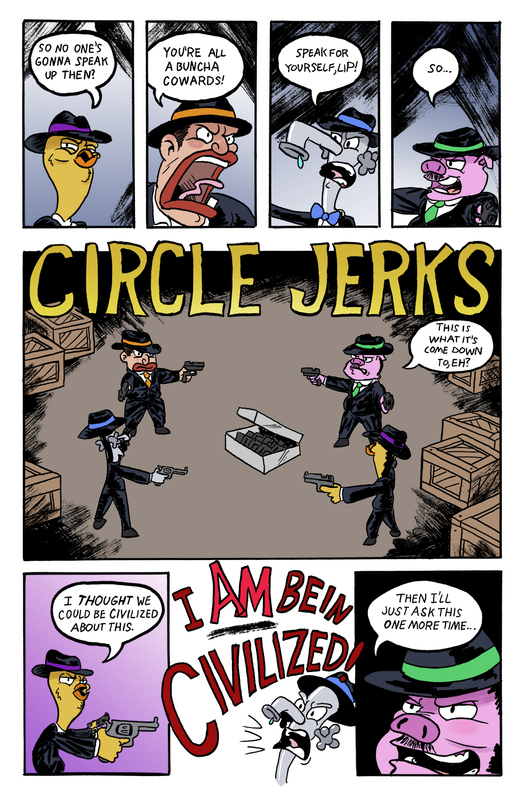 Can four thieves stop their bickering after a heist, or will their argument end in violence? !